The Health and Welfare team is led by Sam Faulkner and Garry Leeson. Within the team there are a number of sub sections, each of which are headed up by a team officer. I have been an adult scout volunteer for the past 8 years, during which time I have been involved across all sections and a training advisor. I am, currently the county safeguarding coordinator. A role I am passionate about. Since my earlier days as a detective within the child protection unit I am dedicated to raising awareness of how we can all work together to safety children and reduce the risk of harm. I have enjoyed many UK camps and had the privilege of joining my group in Kandersteg, Switzerland in 2017. In the ‘real world’ I work within education, owning my own day nurseries and after school club in Melton Mowbray. I love being part of a big staff team and we all work together to provide care and education to a lot of young children. I have found that I need skills such as empathy, patience, an understanding of inclusion and special educational needs and a solid understanding of mental health and have seen the impact of a positive well-being environment. Multi-tasking is key as no day is ever the same and being able to stay positive and problem solve on the spot. These are key skills which I feel compliment my guiding ‘other half’ Garry Leeson. Together we are supporting the Health and Welfare team. I attended Charnwood 1985 as a girl guide and 1991 as a venture scout but Charnwood 2016 was my first as a staff member. I joined the team as the safeguarding coordinator and had awesome camp. It was very emotional to see how a group of volunteers could pull together and build a village and then put on a week’s camp that gave the young people experiences they will never forget. 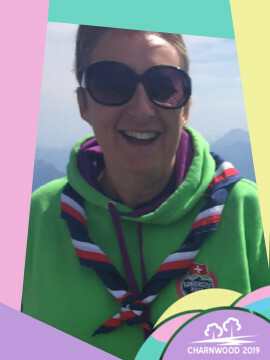 I am proud to be part of Charnwood 2019, come and see me on camp and say ‘hi’. 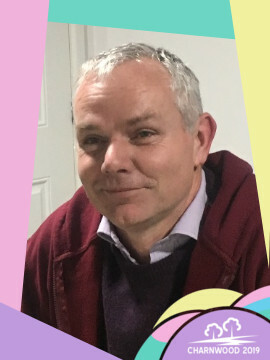 This will be the fourth time that I have been involved in Charnwood, with my previous roles being the health and safety/risk assessment coordinator, so I am looking forward to leading the Health and Welfare team in 2019. I am an adult helper with 2nd Loughborough Guides (my wife Gillian, is a Leader) and have experienced many camps. We will be joined on camp by our daughter, Ellie, who is training to be a Leader and youngest son, Alex, an Explorer and Young Leader – undoubtedly our experiences of this camp will vary! The camp will be somewhat of a ‘busman’s’ holiday for me as for the past 12 years I have been the Health and Safety Officer/Compliance Manager at Loughborough Schools Foundation, a group of four schools and a nursery looking after and educating over 2000 young people from six weeks to 18 years.